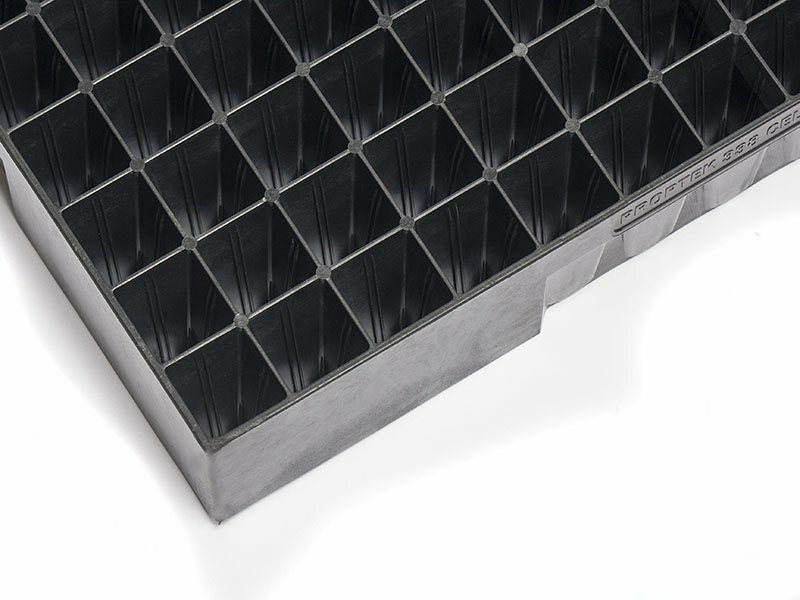 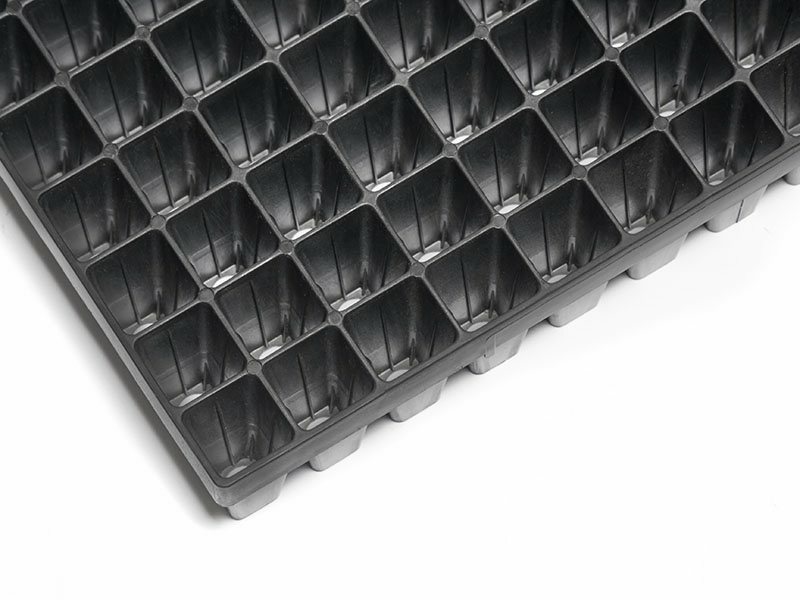 Proptek injection molded tray for Ellepots. 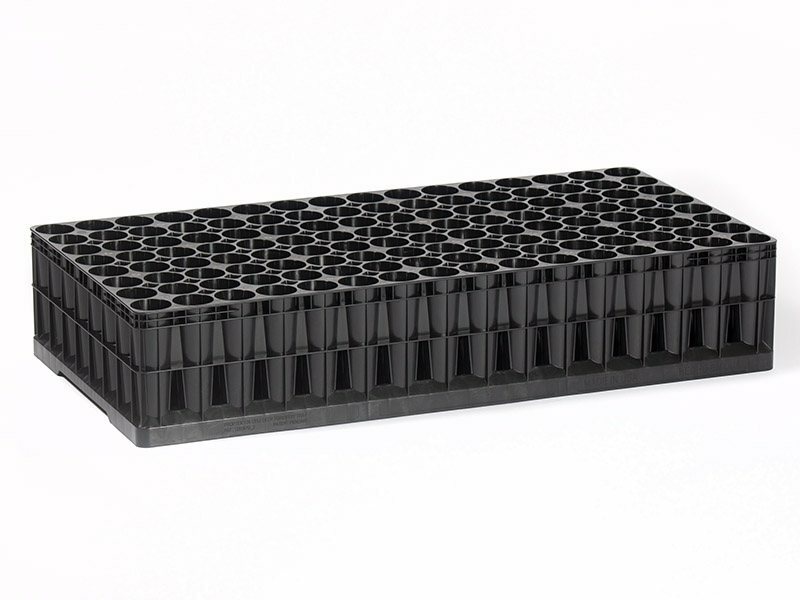 An excellent propagation tray for automated, semi-automated and manual eucalyptus propagation nurseries. 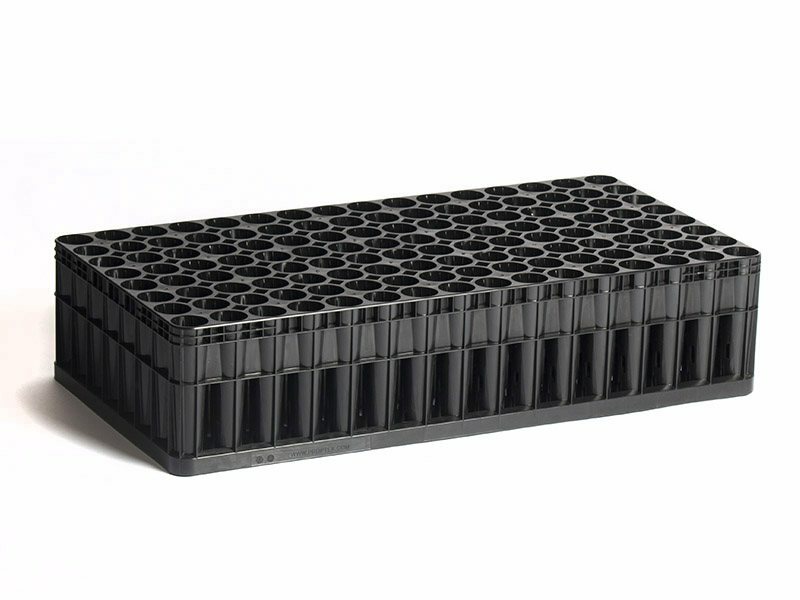 Also suitable for any plant grown from a cutting, such as pine forestry and some fruit and nut trees. 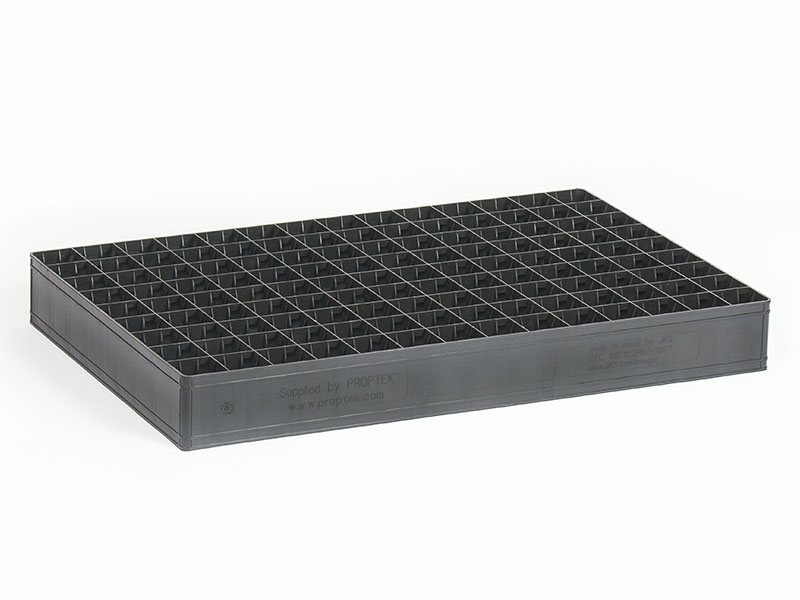 This tray is designed to hold 35mm inserts such as Ellepots. 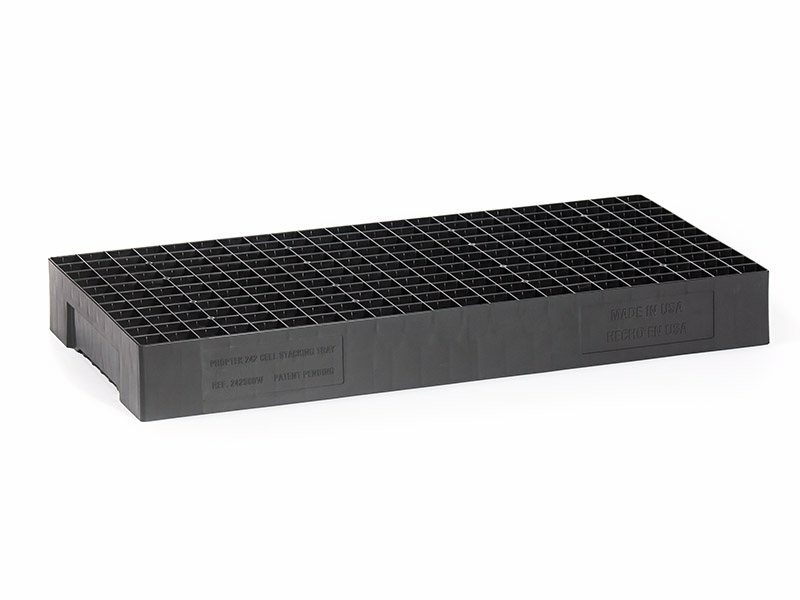 The height of the insert is optional. 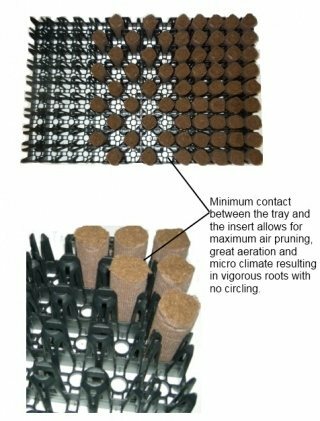 Exceptional quality and natural roots are created by air pruning by having minimal contact between the insert and the tray. 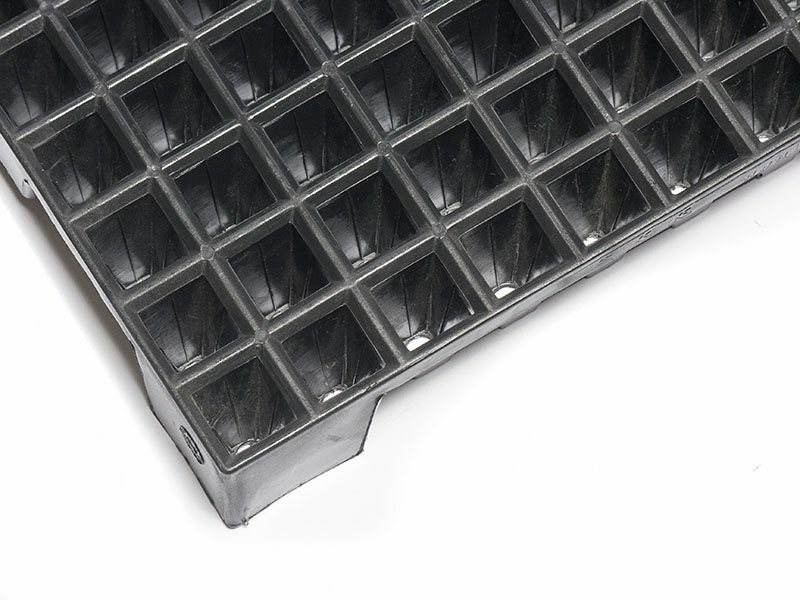 This tray is a natural replacement for any trays used in the forestry market, particularly in Latin America where ‘tubettes’ are currently used. 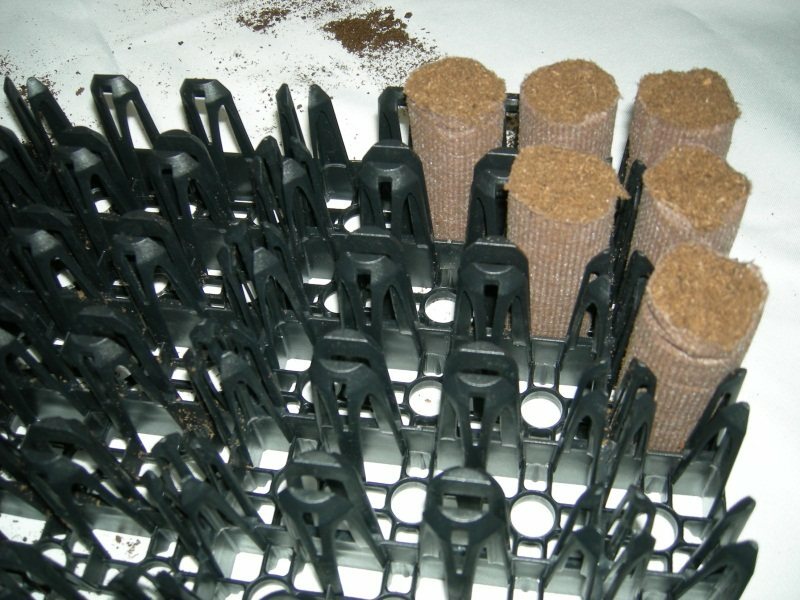 The Ellepots can be removed individually like the tubettes, but the plant doesn’t then need to be removed from plastic to be planted. 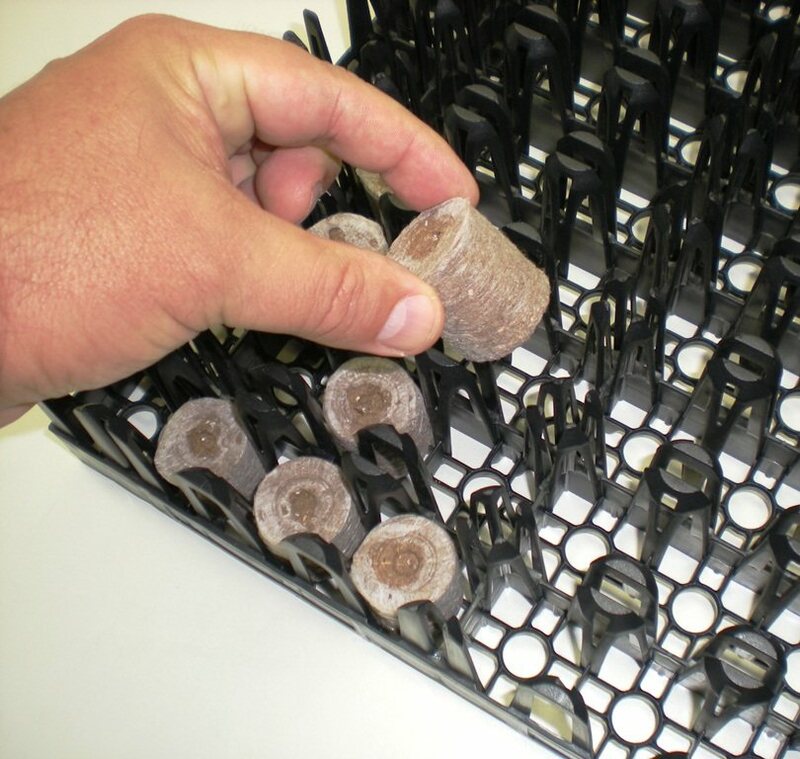 Plants are held much more stable than a tubette system. 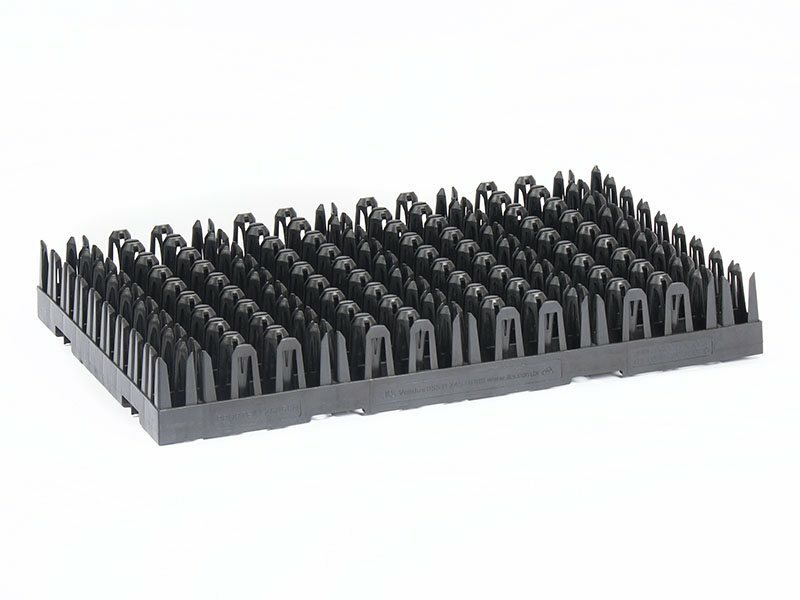 It will fit onto most current benching systems. 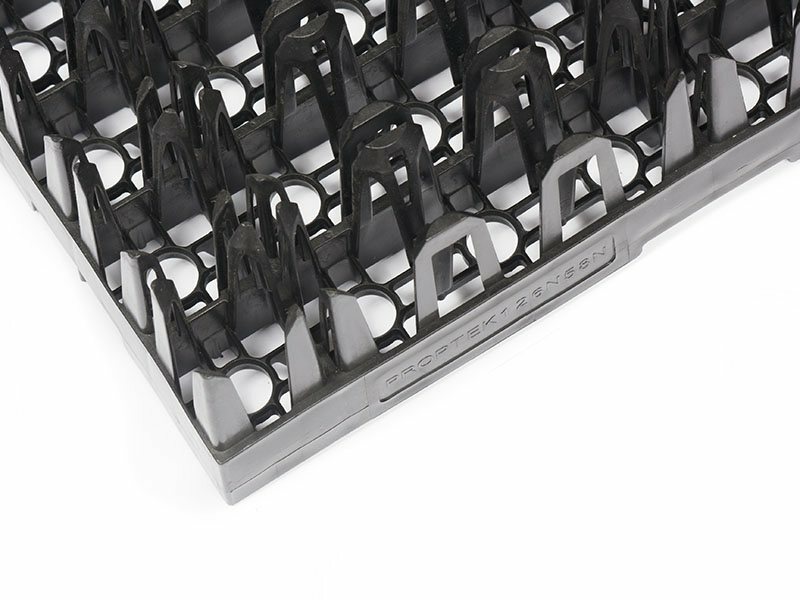 Due to its design that allows for exceptional roots, this does mean this tray dries out quicker than a traditional setup. 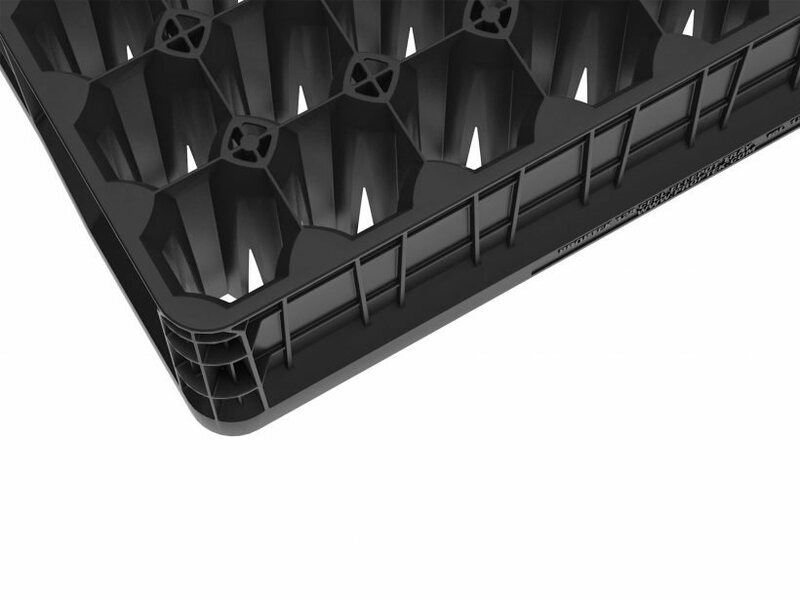 This means you should water less, but more often.